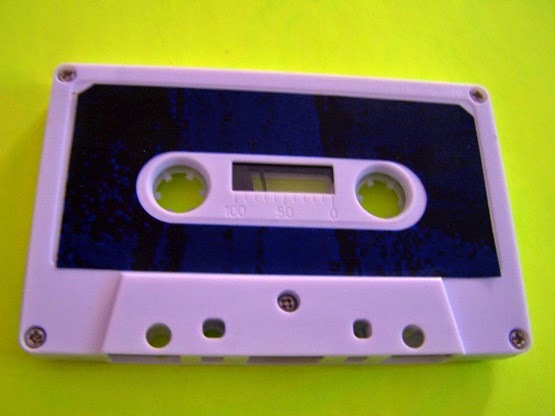 The first thing that I need to note about this cassette which is kind of like a “duh” moment for me and has little to do with the cassette itself is that on the back of the actual cassette there exists this sticker that to me looks like a bandage. 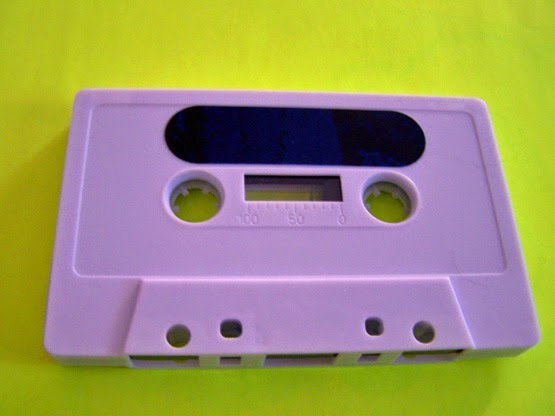 I’ve seen these before, as they’ve helped keep cases shut tight and been on the envelopes cassettes were mailed in as well, and I just always thought that they were bandages for some reason. Granted, bandages have a gauze part in the middle of the adhesive sticker and these never did, but I always just disregarded that notion. 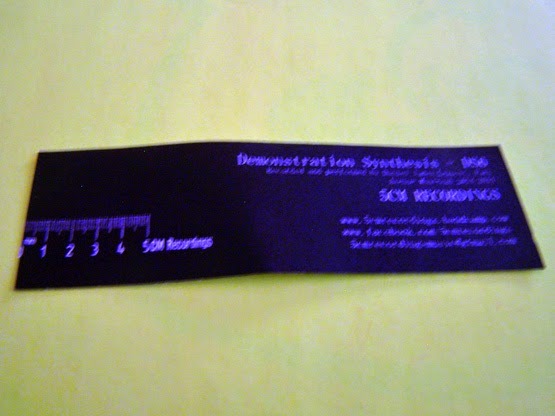 So as I’m looking at this cassette and flipping it over, what I thought was a bandage is actually the inside cut out of the sticker that makes the label and goes over Side A. Why on earth did it take me this long to figure out that all of those bandage looking stickers were not actually bandages, I have no idea. This is the fourth release from 5cm Recordings and to say that I’m a little bit biased about it would be an understatement. 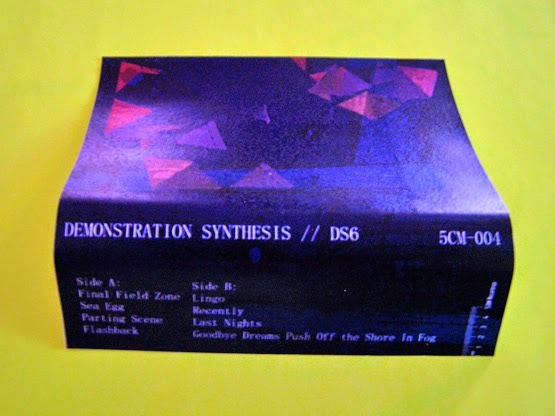 While I have no personal connection to it (Never heard of Demonstration Synthesis before now, to be fair) I do know that the three cassettes that came before this via 5cm Recordings were all quite good and thus I expect nothing less from this. I mean, that Soma/Underwater Escape from the Black Hole split opened me up to so many new worlds. Then you get Dhampyr, who again, I had to go and track down all those musics afterwards as well, and BBJr. 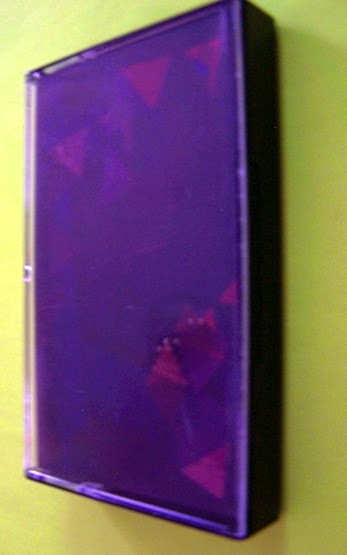 “DS6” begins with 1980’s synth type waves, filled with space lasers and I’m thinking of Buck Rogers. There may or may not be a keytar in here, but the overall vibe is definitely that of a sci-fi soundtrack and you must think of that 1970’s into 1980’s science fiction realm which is quite better than how sci-fi is on the whole in modern times. There is also a certain level of ambience to the synth though, which is nice, and it can become rather tranquil at times. Though when it is not hypnotizing me into my happy place, there is a little bit of funk, maybe even soul. As the synth wave continues through Side B, it brings out something that resembles the ocean but then also becomes somewhat trippy, sort of trance in a way even. I begin to think about what is happening, what time it takes me back to, and how that era could be translated into this, as the soundtrack of a movie or television series. What first comes to mind is naturally “Life on Mars”, which is the closest thing I can get what I’m actually think of for an alternate medium. Imagine someone like Buck Rogers or Han Solo. Just imagine someone who is sort of this badass space outlaw, but from the 1970’s or 1980’s realm of sci-fi and not modern day times. Now imagine that hero being brought into a 1970’s or 1980’s sort of cop show, only they are the ones who have to help to solve most of the crimes and track down the bad guys. Yes, there will be a lot of people saying “Far out”, especially when that character reveals he is from a different place (But not like Mork) Maybe the show or film could even be titled “Far Out”, I don’t know, I’m not writing that. 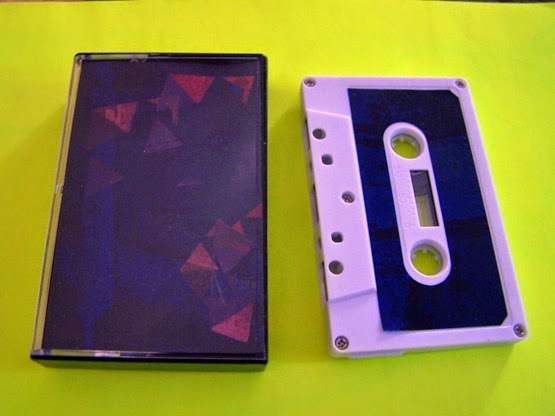 I do however suggest that perhaps Hollywood should start listening to cassettes since they seem to be out of original ideas, and have been for quite a while.